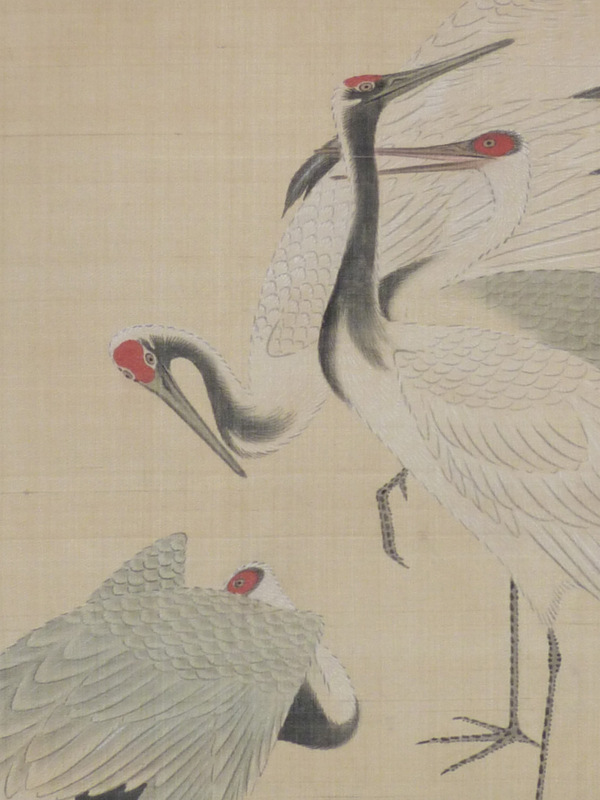 A fine and rare painting: Gunkaku zu, “A Flock of Cranes.” Hiroshige designed many fine kachoga during the 1830s through to the 1850s but there exist few paintings. 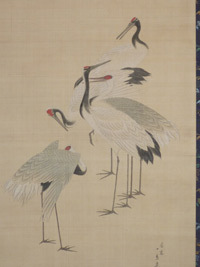 This was a commissioned work from Hiroshige. 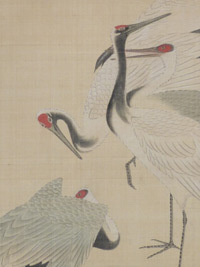 The tancho ( “red crest” ) Japanese Crane, Grus japonensis, is the second rarest crane in the world, migrating to East Asia in the fall to spend the winter. There is also a resident flock in Hokkaido. 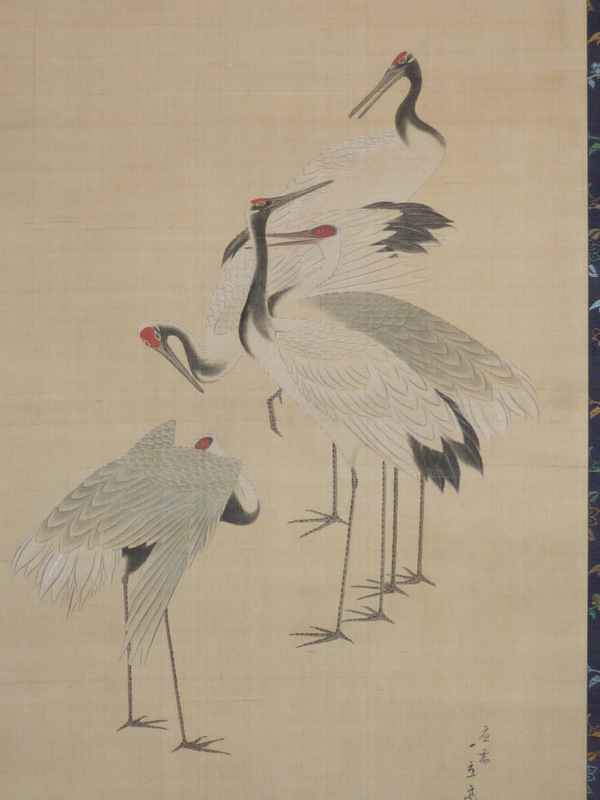 Much loved by the Japanese, the crane was a symbol of luck, longevity and fidelity. Full colour on silk, image size 34.5 x 15.75 inches; 88 x 40 cms. 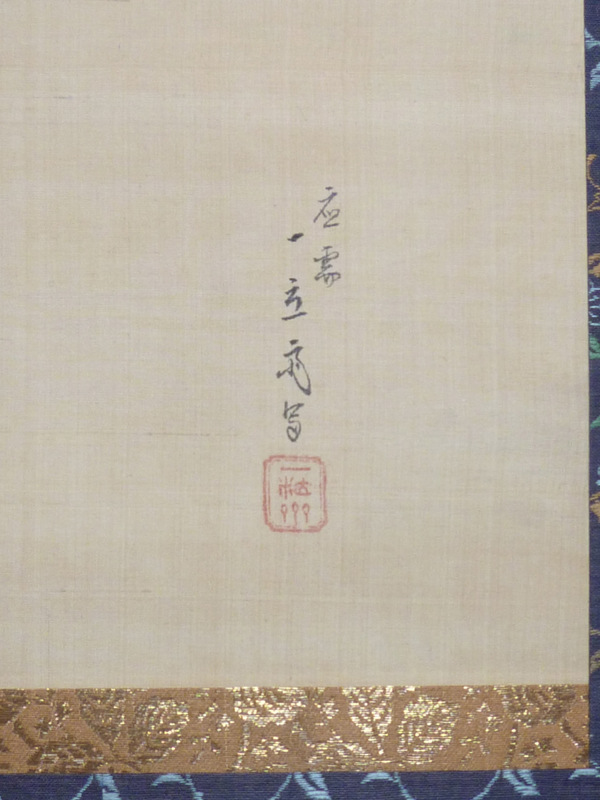 In perfect condition with a futo-maki ( thick wooden roll to preserve the painting from damage ). New box. 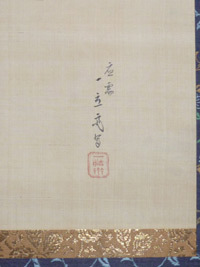 Signed Ojyu ( “commissioned” work ) Ichiryusai hitsu. ( A rare form of the signature used c. Tenpo 10 to 11 [ around 1839 – 40 ]. ) The Ichiryusai seal is also a rare form used around mid Tenpo period.